Greek greetings vs Tamil Greetings help you to learn some formal and informal phrases that are useful in Greek and Tamil speaking countries.Learning few basic greetings in Greek and Tamil helps to make good impression on people and also makes us feel confident. You can also learn Greek vs Tamil alphabets. When you want to request someone for something then it is necessary to say please. But if you don't know how to say please in Greek and Tamil then it disappointing. So, Greek Greetings vs Tamil greetings helps us to learn please in Greek and Tamil language. Please in Greek : παρακαλώ (parakaló̱). Please in Tamil : தயவு (Tayavu). In some situations, if you need to apologize then Greek greetings vs Tamil greetings provides to say sorry in Greek and Tamil language. Sorry in Greek : συγνώμη (sygnó̱mi̱). Sorry in Tamil : மன்னிக்கவும் (Maṉṉikkavum). After you say hello to someone then you will want to ask how are you? And if you wish to know what's how are you in Greek and Tamil then Greek greetings vs Tamil greetings helps you. How are you in Greek is πώς είσαι (pó̱s eísai). 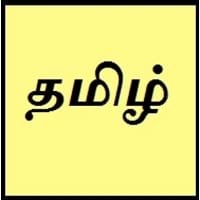 How are you in Tamil is நீங்கள் எப்படி இருக்கிறீர்கள்? (Nīṅkaḷ eppaṭi irukkiṟīrkaḷ?). Even though greetings remain same in almost all the dialects of the language, their pronunciations and accents vary from each dialect to dialect. Know more about such dialects on Greek vs Tamil Dialects. 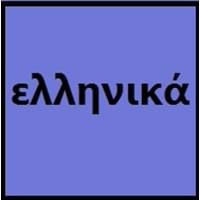 Are you finding few more Greek greetings vs Tamil greetings? So let's compare other Greek and Tamil greetings. Good Morning in Greek is καλημέρα (kali̱méra). Good Night in Greek is Καληνυχτα (Kali̱nychta). Good Morning in Tamil is காலை வணக்கம் (Kaalai Vanakkam). Good Night in Tamil is நல்ல இரவு (Good night) / irravu vanakkam (Good night).